From tents and hammocks to basecamp tools, products under $200 start entering investment-grade gear that make great outdoor gifts that will get plenty of use and last years. Have a look at some of our favorite pieces of gear under $200, and check out some of our other outdoor holiday gift guides from Active Junky or from our sister site, Tom’s Guide, with over 250 techy gift ideas. And don’t forget to sign up for Active Junky for the best deals and cash back on your gear and gift purchases. 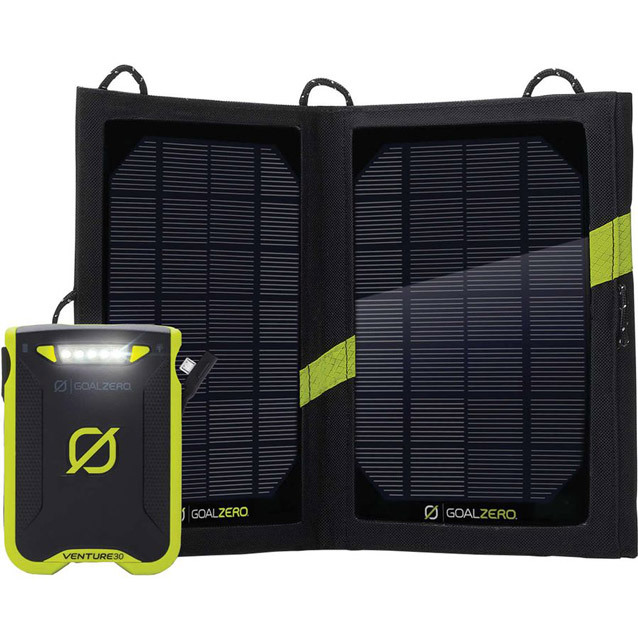 Goal Zero is a leader in portable and solar power sources, which can be invaluable in the backcountry when relying on rechargeable devices like headlamps and GPSs. The Venture Solar Kit includes the Venture 7,800mAh weatherproof recharger paired with the reliable Nomad 7 solar panel, which testers used to capitalize on sunny days by setting the kit out on a rock or stump. The Nomad 7 can fully charge the Venture in 9 hours, and with a full battery, the Venture provides up to 5 full smartphone or GoPro charges, or 5 to 10 headlamp charges, making this solar kit great for backcountry use, especially at only 1.5lbs that can easily be divided between two people. 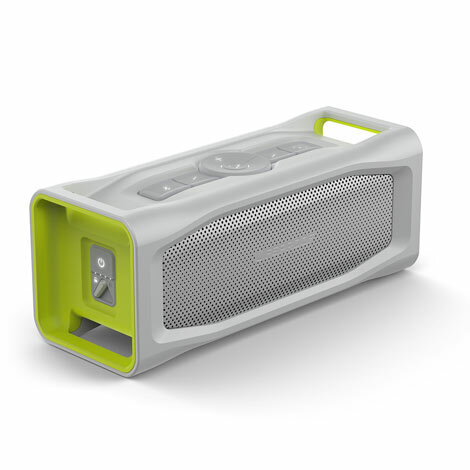 LifeProof Aquaphonics AQ10 Speaker Starting at: $198.00 Take your tunes along where ever your adventures take you with this Bluetooth speaker from LifeProof. In true LifeProof fashion the Aquaphonics series is waterproof, dirt-proof, snow-proof, and drop-proof. The AQ10 will also float, so you don’t have to worry about losing your tunes while you are floating down the river. The sound quality on the AQ10 is impressive for such a small speaker—deep lows and crisp highs will have you dancing around the campfire all night. One of the more impressive features of the speaker is the 13-hour battery life. Testers were used to having the party cut short by a dead battery, but not with the AQ10. After a full day rock climbing, a week of inactivity, then a cold night where temps dropped into the single digits, the AQ10 was still going strong and even had enough juice to give a phone a quick charge in the morning using the built-in USB out port; all off one charge. 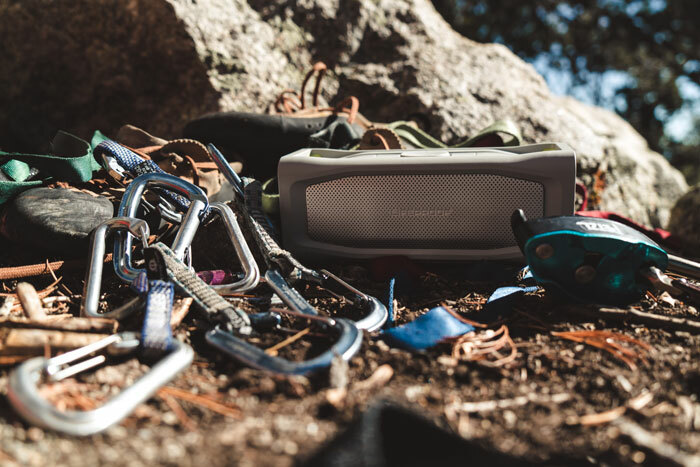 Added features like a built-in microphone for taking speaker phone calls as well as a small stash box to keep your keys or credit cards safe all make the AQ10 the perfect Bluetooth speaker for your adventurous life. 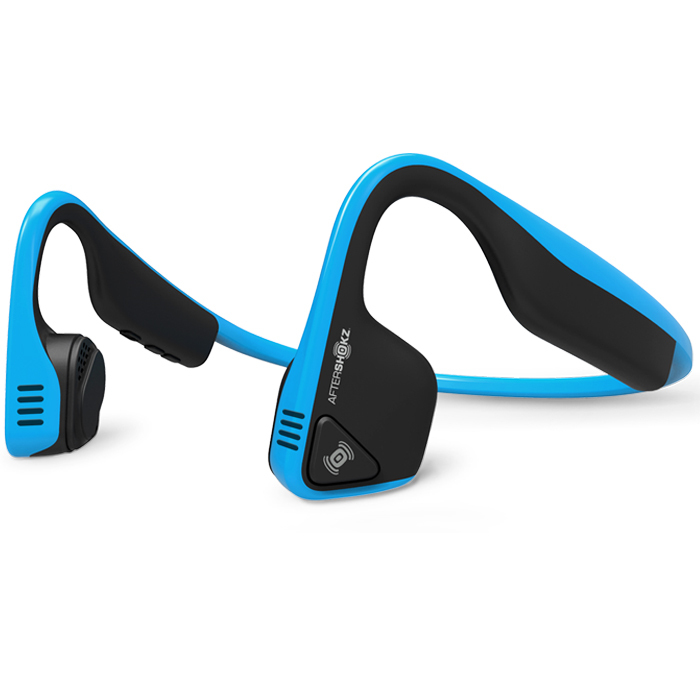 For most of us, music while exercising is a necessity, and a good pair of workout Bluetooth headphones can make a world of difference. But in many outdoor scenarios, hearing your surroundings is a matter of safety. Enter Aftershokz Trekz Titanium, designed with athletes in mind to be lightweight, sweatproof and secure while boasting an off-ear design that uses bone conduction technology to transfer music through the cheekbones rather than in the ear – hear traffic, have a conversation and even take phone calls without having to fuss with the headphones. At only 1.25oz, they’re comfortable while producing high-quality stereo sound for up to six hours without ringing the eardrum or impeding hearing, making these a great gift to keep the runner in your life safe and entertained. Klecker Knives combined an axe head and multi-tool into one burly piece of gear: the KLAX Lumberjack Axe Head. Not only does it feature a stainless steel axe blade, but it also has several other utilities built right into the head. Knife blade, hammer head, hex driver socket, and ruler to name a few. 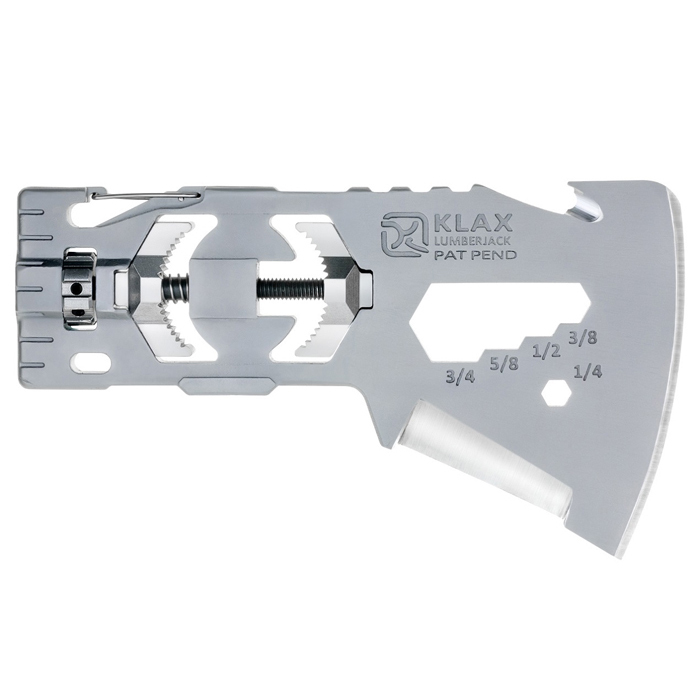 The head weighs 14.4oz alone, and note that the Klecker wooden handle is an optional add on (around $25), one which utilizes the KLAX patented clamping system. But the myriad of tools on the head can be used independently of the handle. The Vanguard Spirit XF produced some of the sharpest and clearest images of all binoculars we tested. Its rugged design and pristine optics make it an ideal pair for outdoor activities including hiking, camping and birdwatching, while its versatility also makes it a great choice for action like sporting events. 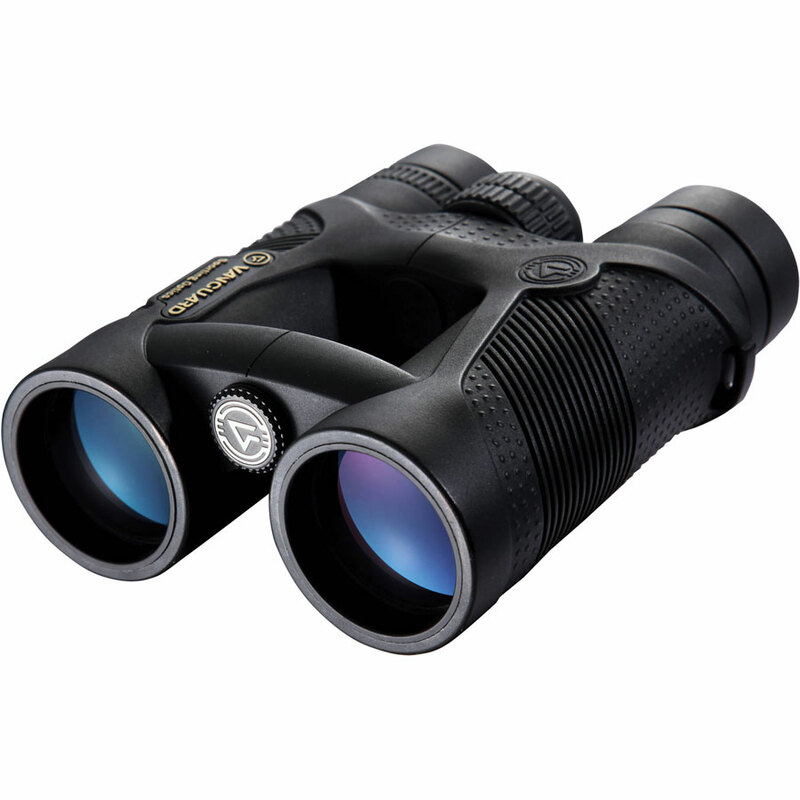 Its precise optics and durable design earned theVanguard Spirit XF 1042 our Editor’s Pick for Best Binoculars. 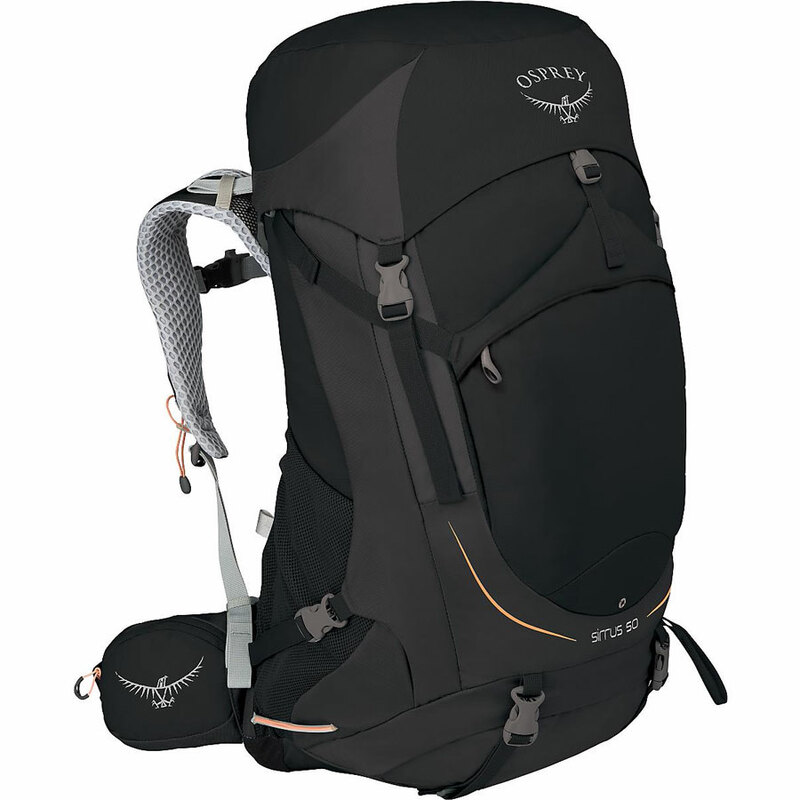 For weekend adventures, the Osprey Sirrus 50 is a go-to bag. The Airspeed system is a thing of beauty. While the torso is not incredibly easy to adjust (held tight by Velcro), every other angle and point of pressure can be dialed. The hip belts are extremely comfortable, even with a fully loaded pack. Duel hip belt zippered pockets were appreciated, but testers noted their volume is less than other packs reviewed. Brain, side stuff and front stuff pockets provide quick access, and an additional zippered pocket on the front of the stuff mesh pocket was a clever addition. 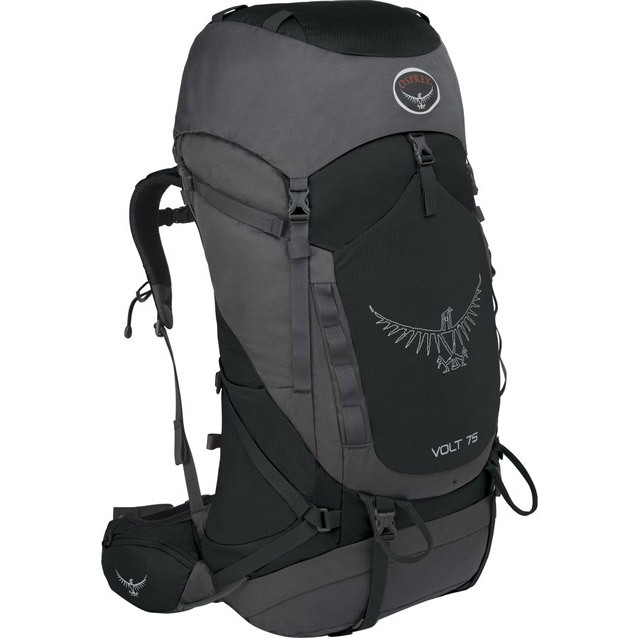 In the backcountry, the Osprey Volt 75 was a top performer. Osprey’s attention to detail was clear after several days on the trail with a full backpack (including heavy camera gear). And after returning home, testers were then pleasantly surprised by the Volt’s price tag. While the hip belt isn’t as generous as some other Osprey backpacks, Volt’s firm yet form-fitting hip belt performed even with the pack fully loaded. The adjustable harness and customizable back panel accommodated both our 5’10” and 6’5” testers with quick adjustments. This 4-person tent has a simple, yet effective design. A 2-pole system meant easy set up as testers arrived at camp at 2AM after driving through the night. Three people and one dog occupied the tent for a few hours with room to spare for an additional person to squeeze in. Two roomy vestibules have plenty of room to keep gear organized and out of the elements, while keeping the interior of the tent tidy for card games while waiting out storms. Overall the Escalante 4 is a solid car camping option at this price point and a weight of 8lbs 11oz. 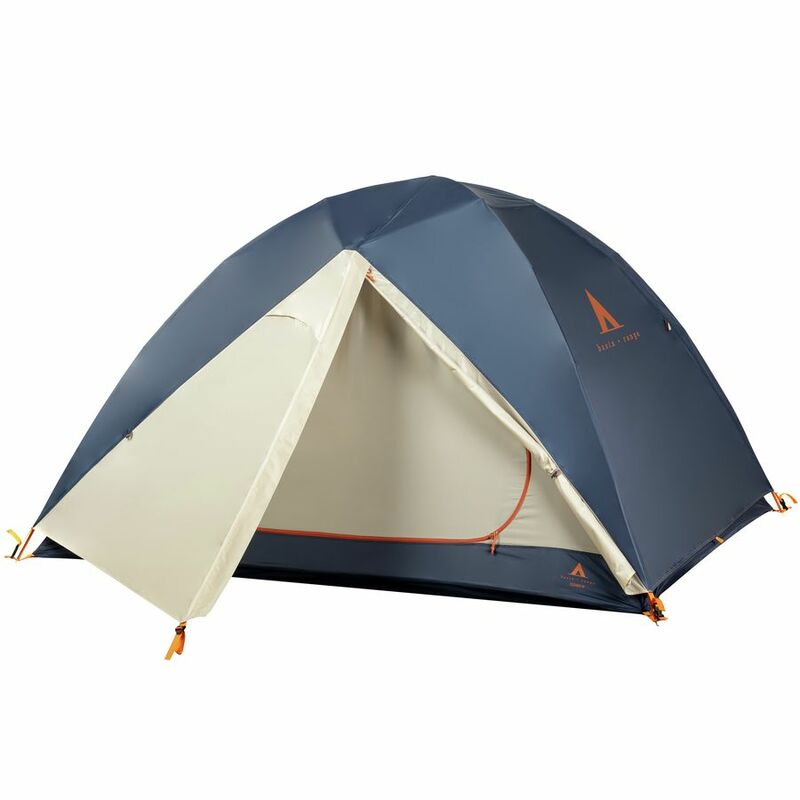 Be sure to also check out the 2-person and 3-person versions of this tent. 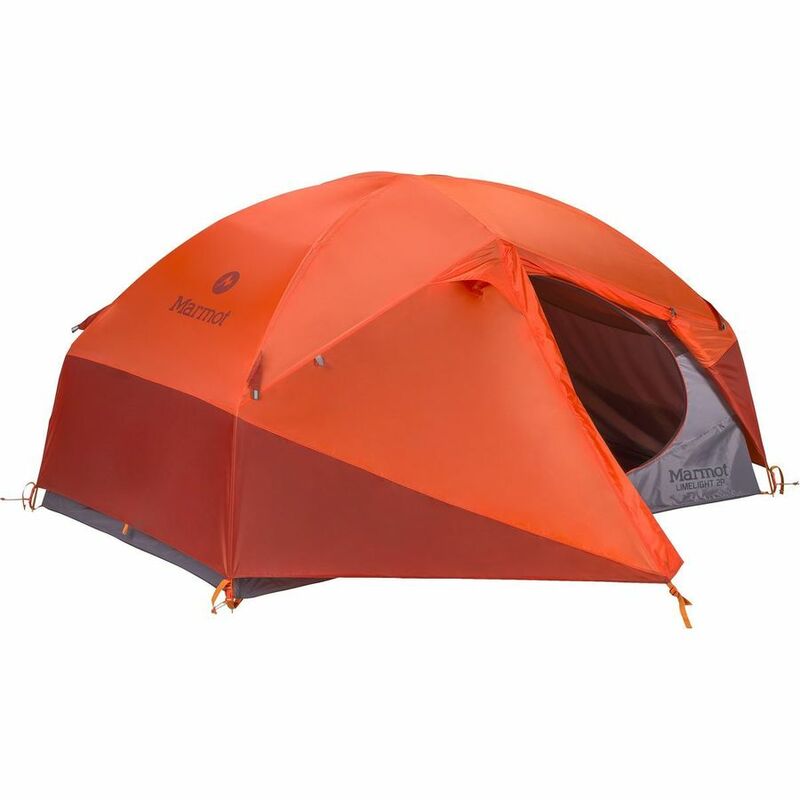 Sturdy enough even to withstand powerful winds but compact for travel, this Marmot model was our team’s favorite during high desert exploits. 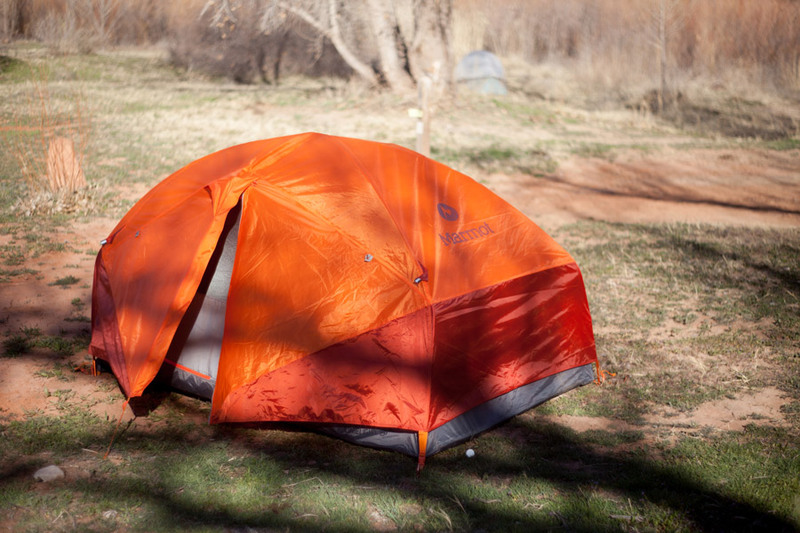 Given the tent’s trail weight of 5lbs 2oz, our testing team used the Limelight mainly when car camping. Still, we pitched it in ruthless winds and it rapidly became our team’s favorite car camping tent and is not out of the realm of backpacking if divided between two people. The doors are beyond awesome. Almost 360-degrees around, they are enormous and easy to use—a great feature for those who pop in and out of the tent frequently. Tipping the scales at 4.25lbs without the Tree Hugger utility straps, the Lawson Hammock offers versatility in sleeping options. With a two-piece metal spreader bar on each end, the hammock creates a more horizontal sleeping surface when suspended between two trees, or set up Lawson on the ground for use as a tent if you can’t find perfectly spaced trees. 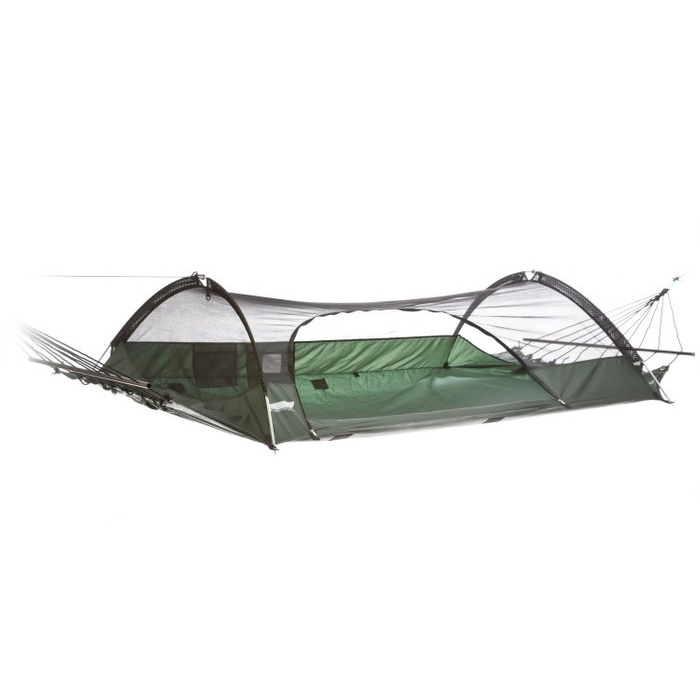 The no-see-um net canopy built into the top and side walls keeps bugs out without impeding your view on the night sky. Therm-a-Rest’s Trail King SV combines the brand’s unique SpeedValve with internal AirFrame padding. 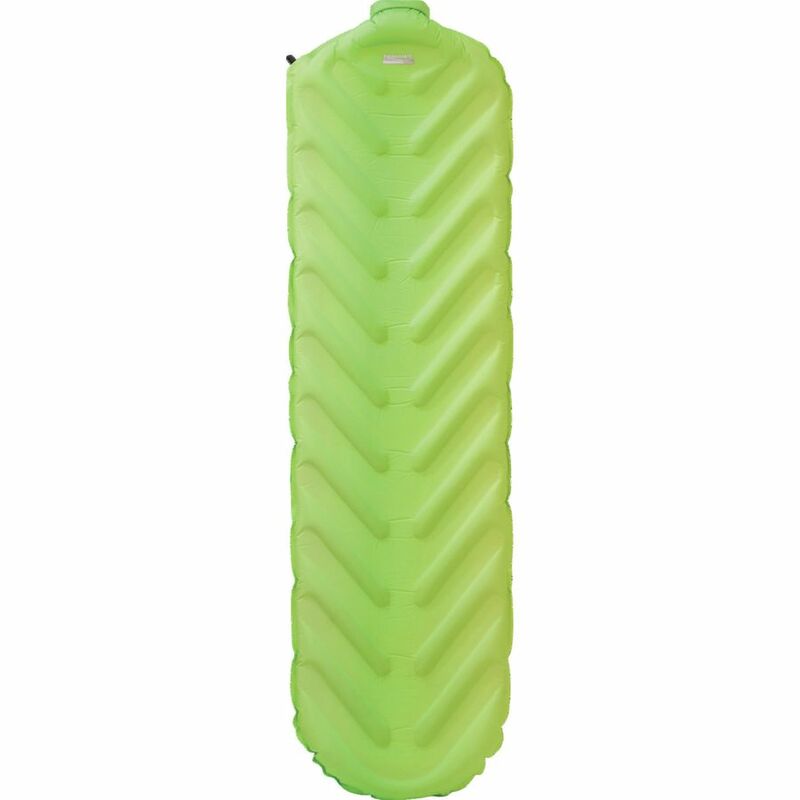 The speed valve is a large open passageway into which you blow air from six inches away to fill the pad, and with self-inflating foam, this sleeping pad inflates quickly, while reversing the speed valve allows for speedy deflation. The V-shaped chambers inflate and provide comfort while the internal AirFrame padding offers support, especially along the spine as the padding runs the center length of the pad. An R-Value of 1.8 means this pad can handle summer and shoulder-season camping. With an ingenious design and warm construction, the Klymit KSB 20 packs to a reasonable size that scored high among multiple testers. Delight came when our first tester slid into the KSB and noticed the flexible baffles. Essentially enormous rubber bands to replace traditional baffle stitching, these hip bands allow you to stretch and sleep in any desired position minus the discomfort of a tight mummy bag or heat loss of a baggy one. 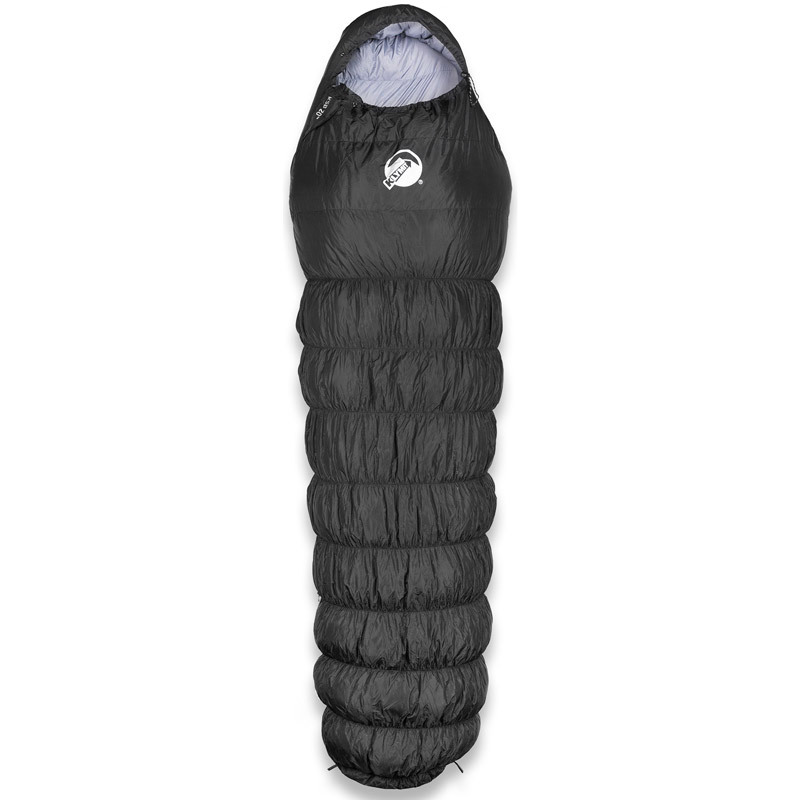 The affordable 650-fill, while only marginally compressible, is warm and lofty in a bag only slightly over 2.5lbs. 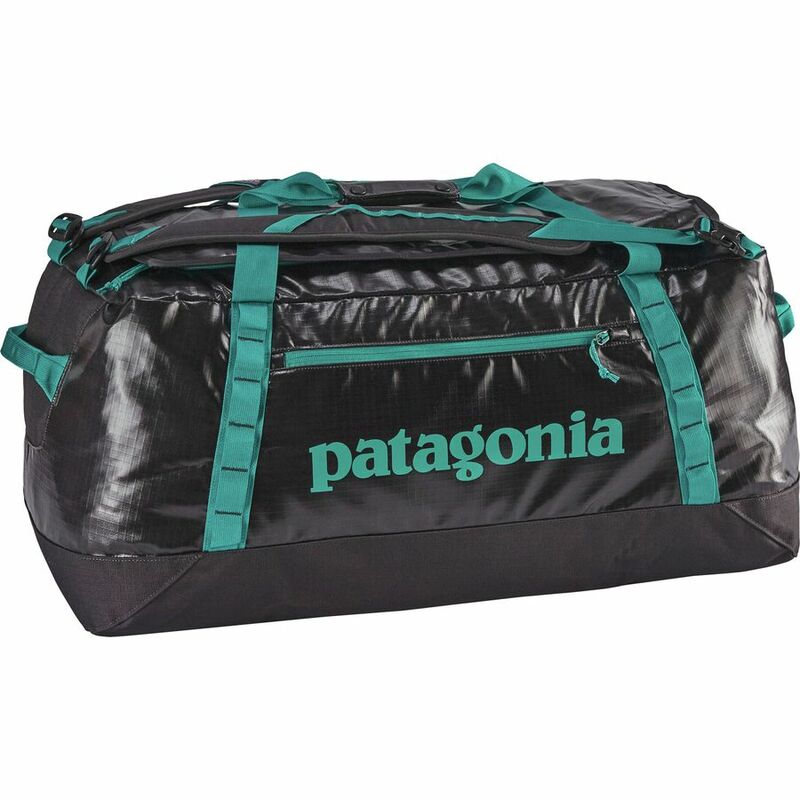 Patagonia’s Black Hole Duffel line is the ideal companion for the stress that active travel puts on your luggage. The water-resistant fabric has a laminate finish that shrugs sand and water right off. Black Hole has a couple mesh pockets inside and one outside for those small items that you need to find in a jiff, which is handy because 90L is pretty large, but a perfect size for weeks-long trips. The shape and less-rigid structure made it clutch for the many games of Tetris necessary during transport, and it was the perfect choice to ride cinched onto a car rack when if you run out of room in your vehicle. 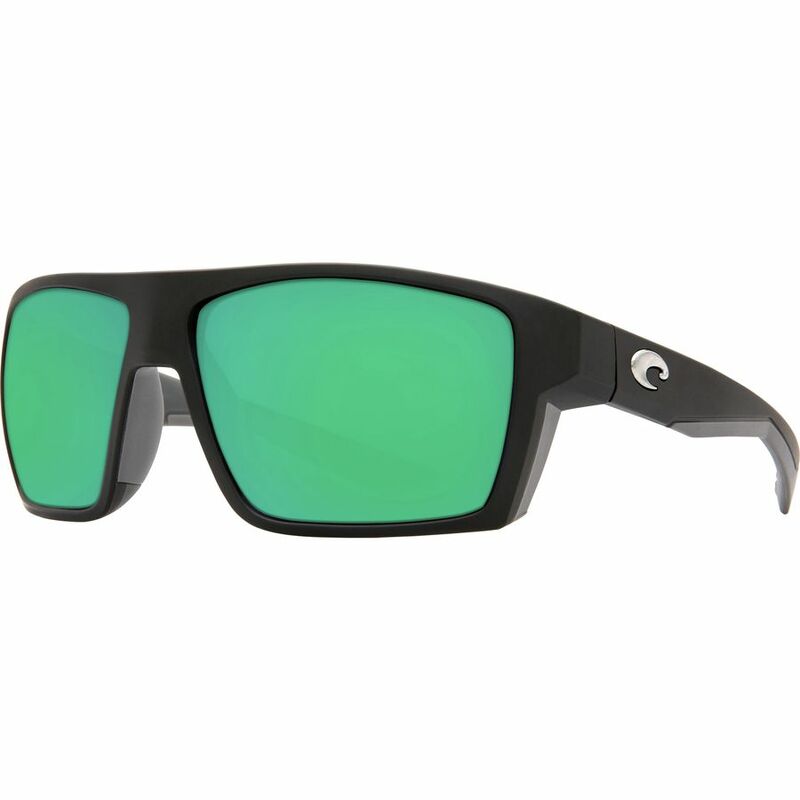 The Costa Blokes are serious polarized sunglasses for a motivated angler or any on- or near-water athletes. 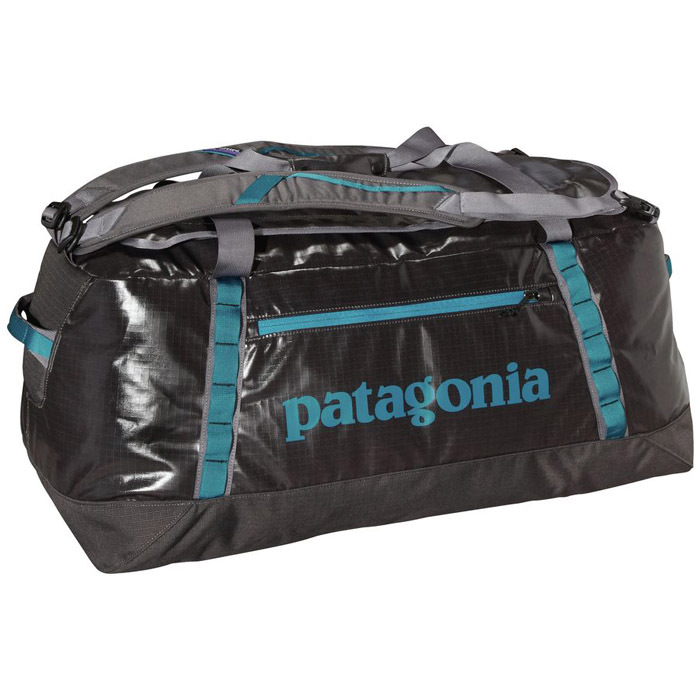 The full-wrap frame fits larger heads and keeps light from seeping in the sides. With 580g polarization, the lenses are a scratch resistant glass that offer 100% UV blockage, 100% polarization and industry-leading clarity. The Costa Bloke comes in four frame and five lens varieties, providing options to match anyone’s style.